Dimensioni di questa anteprima: 468 × 600 pixel. Altre risoluzioni: 187 × 240 pixel | 374 × 480 pixel | 721 × 924 pixel. 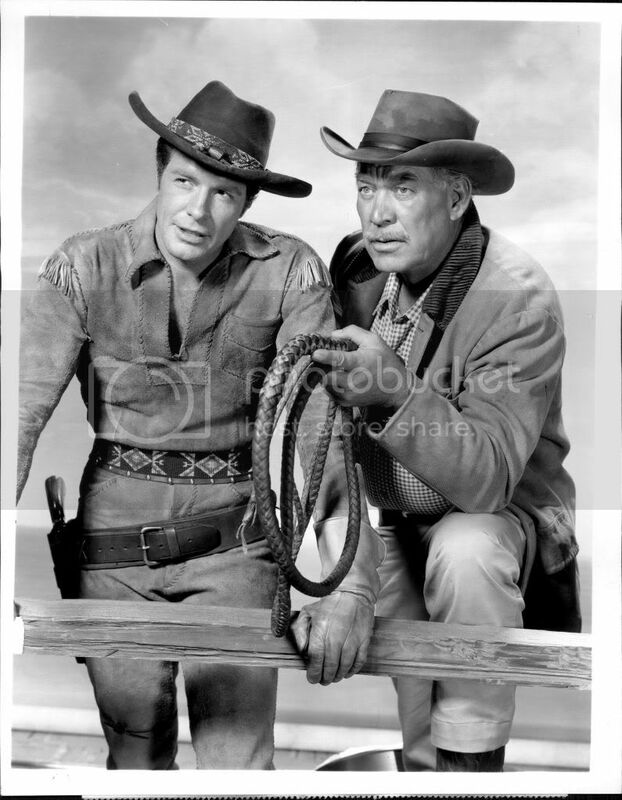 Photo of Robert Horton as Flint McCullough and Ward Bond as Seth Adams from the television program Wagon Train. McCullough's role was that of the wagon train's scout while Adams was its wagonmaster. There are some interesting sidelines re: this television show. It originally ran on NBC from 1957 to 1962. After its cancellation by NBC, ABC picked up the program, which was still in production and remained so until 1965, as well as the earlier episodes originally aired by NBC. ABC aired the current episodes as part of their prime-time evening lineup and also aired the reruns of the program as part of its network afternoon schedule. The original copy of the photo was part of a newspaper library. The newspaper pasted a clipping on its back and then applied its copyright stamp to the back for the pasted text. 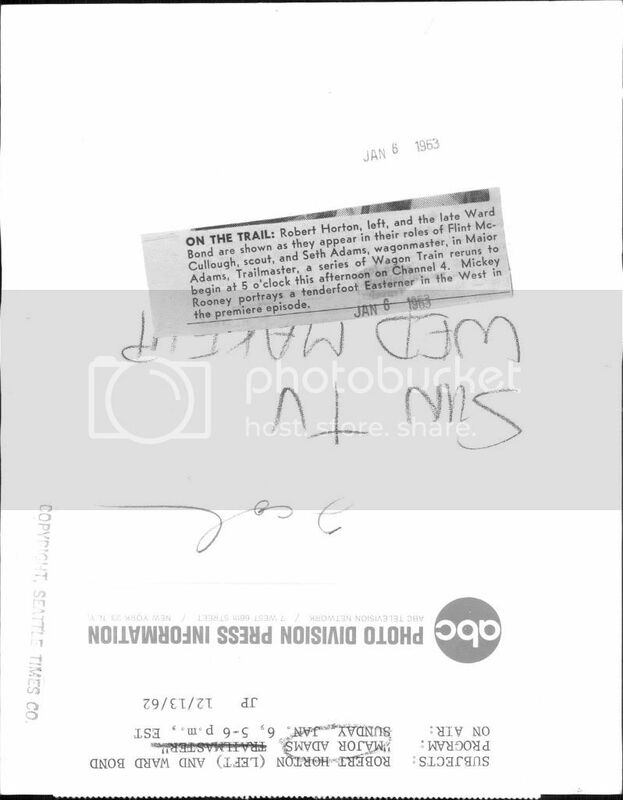 The text has been obscured and the copyright marking for this text removed. The newspaper would have no rights or ownership over the photo; this was received by them from ABC. There are no copyright markings pertaining to the image as can be seen in the links above. attuale 22:52, 5 lug 2012 721 × 924 (156 KB) We hope Photo has been cropped.